The SHARPhub helps faculty and trainee entrepreneurs establish and grow startup companies to develop biomedical technologies. 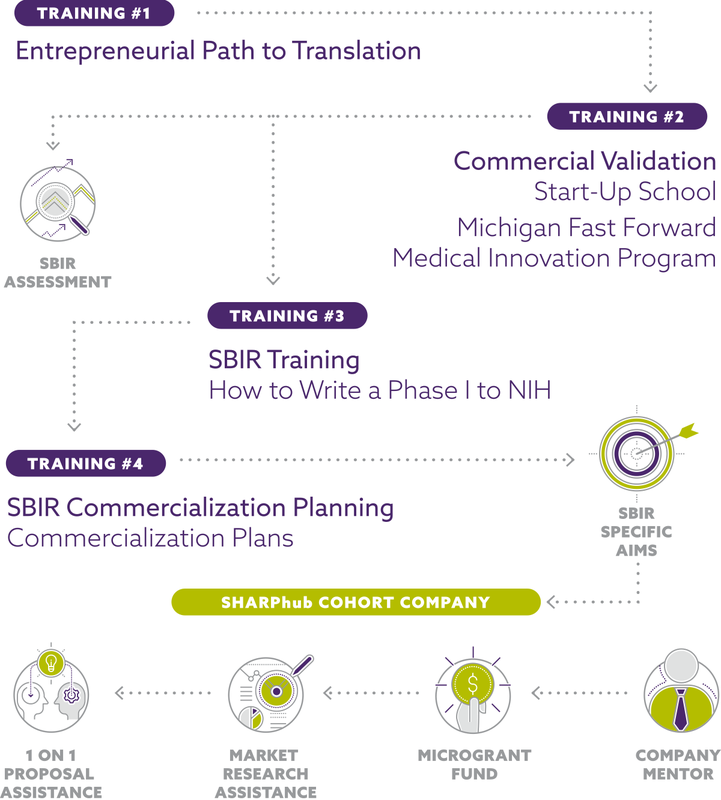 Integral to the SHARPhub program is using the federal SBIR/STTR programs as an early stage funding mechanism. SHARPhub assistance is provided to cohort companies at no cost to them.